Nearly one year ago exactly I spent the first month of 2017 discussing minimalism on the blog with A Month of Minimalism. Pretty straightforward title right? January is always a month for me that contrasts December, and I suspect many others feel the same way. The pendulum always swings the other way doesn't it? From a month of decadent foods, nostalgic decor and extra partying, we find ourselves on the other side of all that when January arrives. Maybe not the first few days but once the holiday decor and food have been swept out of your home, one can find themselves wanting to streamline for the new year. As part of the series I shared a little feature with Apphia Michaels, who has a very selective style, even with two kids. She mentioned the idea of a capsule wardrobe and the thought of it has never left my mind. 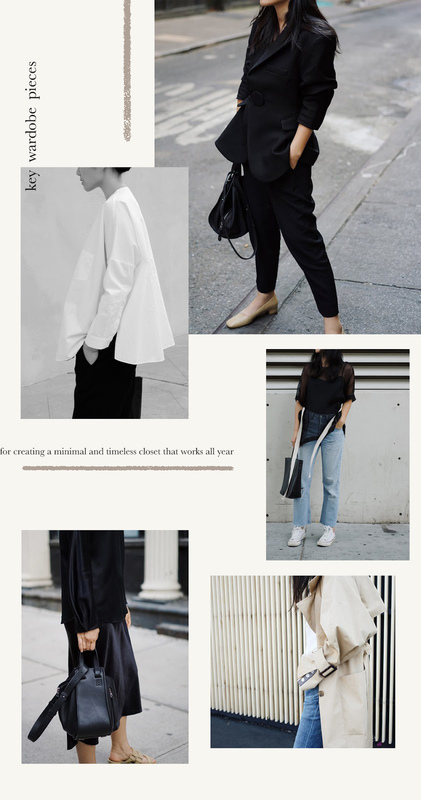 Fast forward to this year and I have the amazing Ann Kim from Andy Heart, an expert in great style and dressing minimally, give us her own take on creating a capsule wardrobe and the key pieces to start with! I can't imagine where I'd start with such a task but Ann makes it look so simple. 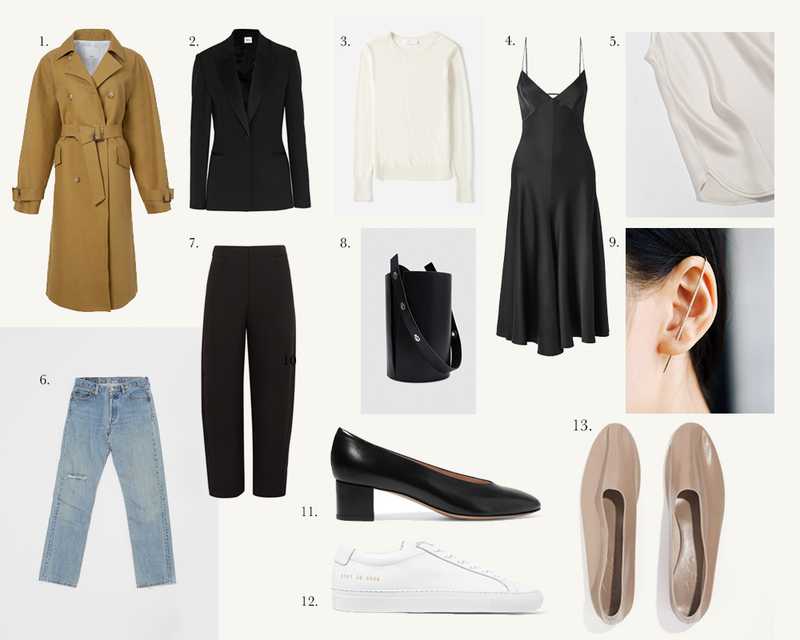 If you've ever wondered about those key basic items every wardrobe needs or if you've wanted to try creating a capsule wardrobe for yourself, this is the perfect place to start! You can stay connected with Ann over at Andy Heart, on Facebook and Instagram!